Samsung Galaxy S5 SM-G900T user guide manual for T-Mobile – Samsung GalaxyS5 SM-G900T for T-Mobile plan to release on April 2014. Samsung Ga;axy S5 SM-G900T offers by T-Mobile for $660 for retail plus $27.50/mo. X 24 mos when customers cancel wireless service. Other service that offers from T-Mobile for their customers who want the new galaxy S series is termination fees. 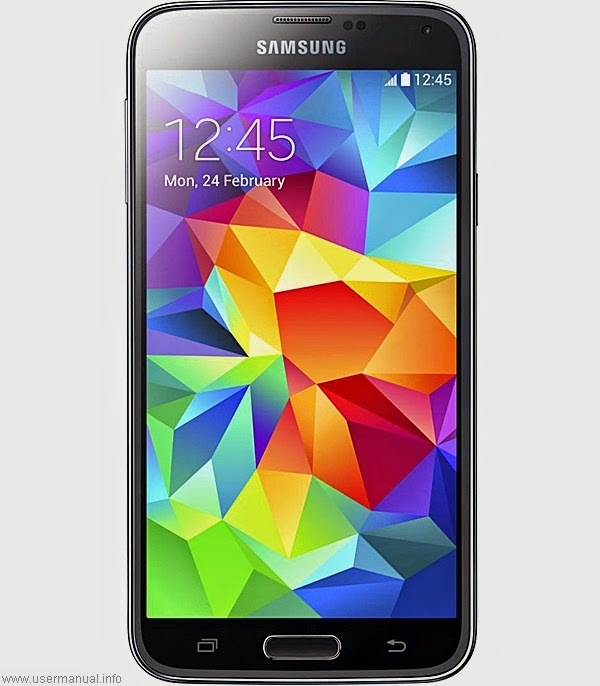 Samsung Galaxy S5 equipped with specifications and key features such as: 142 x 72.5 x 8.1 mm (5.59 x 2.85 x 0.32 inches) in dimension with 145 g (5.11 oz) in weight includes: fingerprint sensor (PayPal certified), IP67 certified – dust and water resistant and water resistant up to 1 meter and 30 minutes, 5.1 inches Super AMOLED capacitive touchscreen display 16 million colors 1080 x 1920 pixels screen display with multitouch, TouchWiz UI and Corning Gorilla Glass 3 protection, microSD up to 128 GB, 16 GB internal storage, 2 GB of RAM, 16 megapixel rear facing camera with autofocus, LED flash and face detection, 2 megapixel front facing camera, run Android 4.4.2 Kitkat operating system, powered by 2.5 GHz quad core Qualcomm MSM8974AC Snapdragon 801 Adreno 330, Li-Ion 2800 mAH battery with up to 390 hours of stand by time and up to 21 hours of talk time. Samsung Galaxy S5 SM-G900T pdf manual available to download in pdf file format with 8.94 MB size and contains of 103 pages. Samsung Galaxy S5 SM-G900T user guide manual for T-Mobile will help users, owners and buyers with important information you need about the smartphone including key features, add functions, settings and some solution for troubleshooting.